Steve and Tiffany are married! They had a beautiful, shabby chic wedding at Meanda Grove. This wedding was so relaxed and joy filled from start to finish. 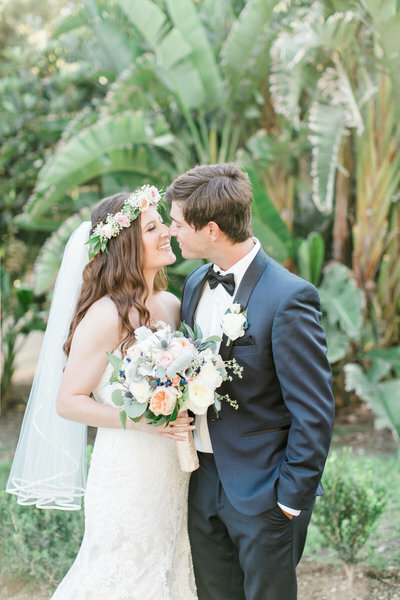 Their gorgeous day began at the incredible Mission Inn in Riverside, Ca. Then we all made our way to Meanda Grove in Riverside, CA, where both the ceremony and reception were held. There was a lemonade stand, an awesome photo booth, a dessert bar, and a s’mores station! Did I mention they had an In-N-Out truck?! This is the stuff dreams are made of, people! I can’t think of a better way to kick off a happily ever after. Thanks so much to Jeremy Chou’s studio for having me along to assist and capture the images below. Congrats to this big hearted, amazing couple and may God bless their marriage!